Partnership and cooperation are at the heart of our ministry ethos. 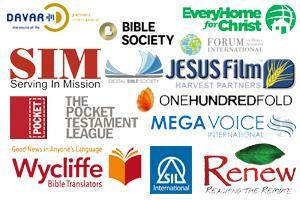 GRN works with many ministry partners. Partnerships may be local or global, and some organisations partner with us at several levels. If you would like to explore partnership opportunities with GRN send a message here. In addition to the above, hundreds of Christian workers throughout the world have asked for and received permission to reproduce and distribute GRN materials in their own ministry context, and tens of thousands have accessed the materials themselves from GRN websites and used them in ministry. GRN-developed apps, web technology and playback devices are also used by many.